The Samuel Bronfman building is the house of business studies at McGill University. Each year a batch of students begin their two years journey of dreaming and a batch leaves the building with the satisfaction of having achieved their dreams and the joy that the last two years bought to their lives. But there are some dreams that no one dreams and that dream that you don’t dream is reality that surpasses your expectations. Something that you never imagined or fleetingly hoped for but never expected. In 2012, five students got together at the third floor of the Bronfman building and decided that they want to tackle the problem of world food scarcity. They did not know what they would achieve but they had the courage to take up this challenge while braving the rigors of an MBA course. The team saw a spectrum of ups and downs but one year later in September 2013, the same five students from McGill University won the Hult Prize with their unique solution of using insect-derived flour to win a bid to address food security, in the process winning USD $1Million as seed funding to further pursue their idea. It has been three years since they won and the Aspire Food Group is still going strong with their mission of providing a sustainable food source to millions of people around the world. The Hult Prize is the world’s largest student competition for social entrepreneurship and this year’s challenge is centered on “the refugee opportunity”, specifically reawakening human potential, and build sustainable, scalable social enterprises that restore the rights and dignity of 10 million refugees by 2022. Students have an opportunity once again to tackle an issue where social enterprises of any kind can help attain the target. The beauty of Hult Prize is that with such a broad topic, it allows students from all backgrounds to view the challenge with a different lens and uniquely use their skills in the quest to find solutions. On Sunday, December 4th , McGill University is hosting Hult Prize @ McGill — the university-level competition for the prestigious Hult Prize. Winners from the university level event will go on to represent McGill at the regional competitions in March 2017. The winners of the regional event will then participate in a six-week long accelerator to refine their ideas before presenting at the finals at the annual Clinton Global Initiative in September 2017 and get a shot at securing USD $1Million as seed funding. The Aspire group probably didn’t dream this before it happened, maybe you haven’t dreamed it as yet. But this is your opportunity to live the dream that you may have never dreamt and in the process impact the lives of billions of people. Those interested in participating can find more information about the McGill competition and the Hult Prize. Follow Hult Prize on Facebook to get updates of events and workshops. Published by akshaykohli on 2016/11/01 at 9:20 PM under Employment, General Discussions, Grad school experience, Personal. 0 comments. 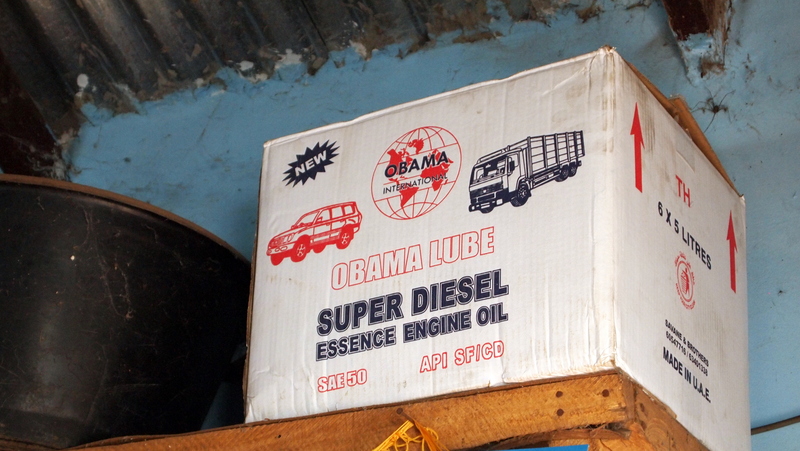 Dakar 2011 – They really liked Obama. A LOT. I have less than a month left in Montreal! In mid-July I’m heading to Western Canada to visit family, and then back to West Africa to start implementing my fellowship project over the next year. As the realization that this is actually happening REALLY SOON has crept up on me, I’ve been pondering what to expect this time around. I’ll have the big advantage of a head start on the language and culture that I didn’t get last time, as well as some good connections. But I somehow think things will be different on a larger scale too. Published by erik on 2013/06/27 at 5:48 PM under General Discussions. 0 comments. 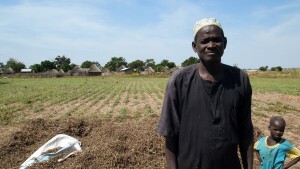 The village chief of Taiba, The Gambia with his field, village, and son in the background. Since my bio is up on the site, I’ll skip the introductions and just launch straight into my first post! Last week I was sponsored by my department (plant science) to attend McGill’s 4th annual Global Food Security Conference. The event took place over a two-day period, with panels on natural resources, trade and international markets, Food price volatility, and several other intriguing topics which you can see here. 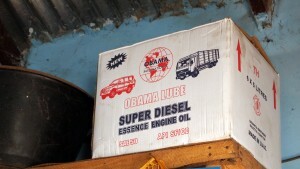 Published by erik on 2011/10/12 at 10:26 PM under General Discussions. 1 comment.